This ultra-compact wireless controller is easily portable between systems and rooms, as it features a compact plug-n-play wireless receiver that fits into an standard USB 2.0 port. The unit's 2.4GHz radio paired with two double-A batteries provides an excellent 32-foot operational range. 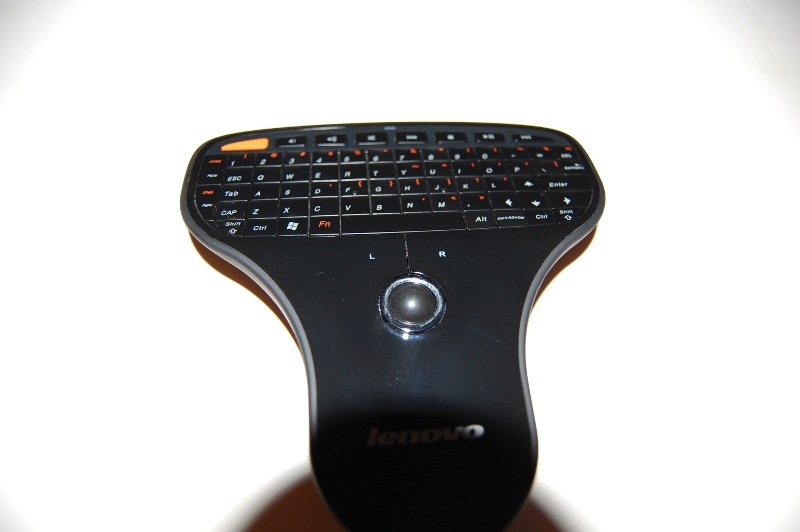 From the specifications, this control would make an ideal input device for MythTV, XMBC, or even a business presentation. 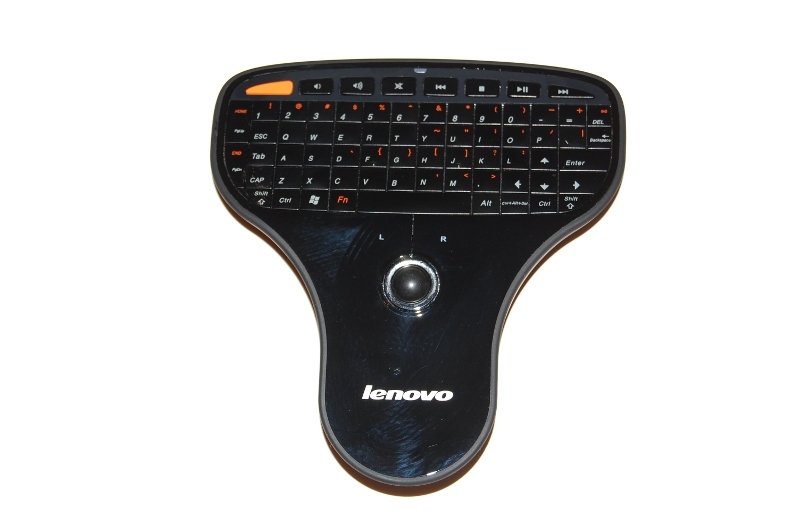 The Lenovo N5901 is shaped something like a keyboard with a standard televesion control fused at the bottom. 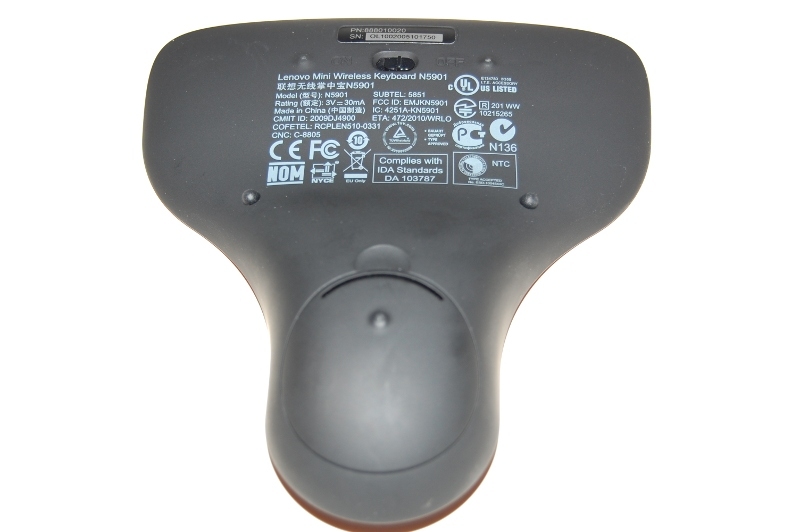 The controller is uniform from the left or right side, removing any need to be left- or right-handed while operating this unit. 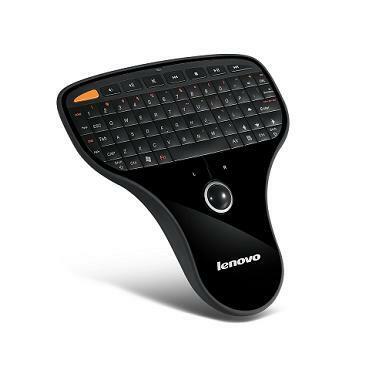 The top of the N5901 is a glossy black, and smooth to the touch. 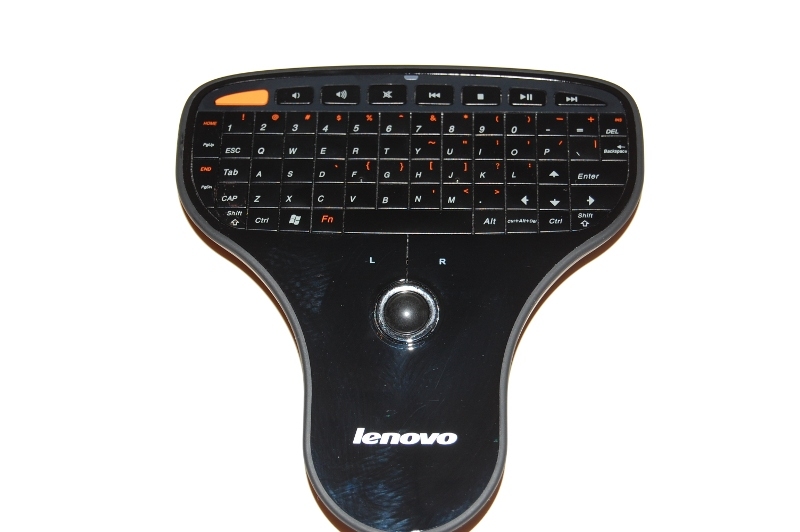 The keyboard configuration is nearly a standard QWERTY layout, with a few additional multimedia keys at the top of the unit. The keys themselves aren't much bigger than what you'd expect to find on the latest touchscreen phone from HTC or Apple. 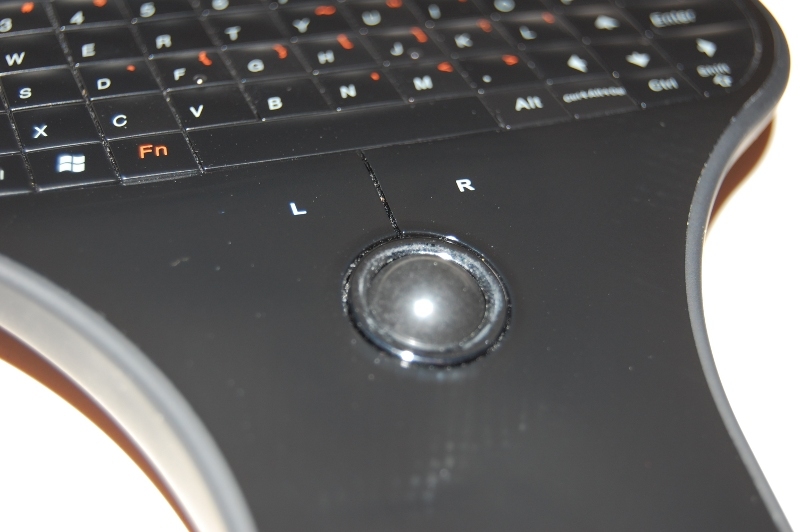 Instead of an optical sensor, the mouse component of the unit is a spherical trackball, with two buttons above it for left- and right-click. The black gloss is quite succeptible to fingerprints, but then again, this isn't a showpiece. 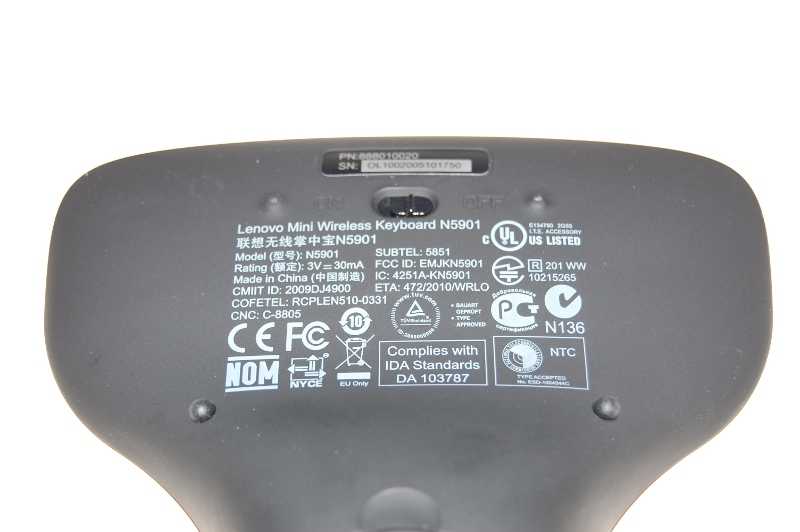 On the underside of the unit, the standard technical details are printed inbetween an on-off switch and the battery cover. The underside is more of a graphite gray in color, and slightly less smooth to keep the unit from slipping from your hands.